Possibly the prettiest colanders (is that an oxymoron? Nevermind) ever! 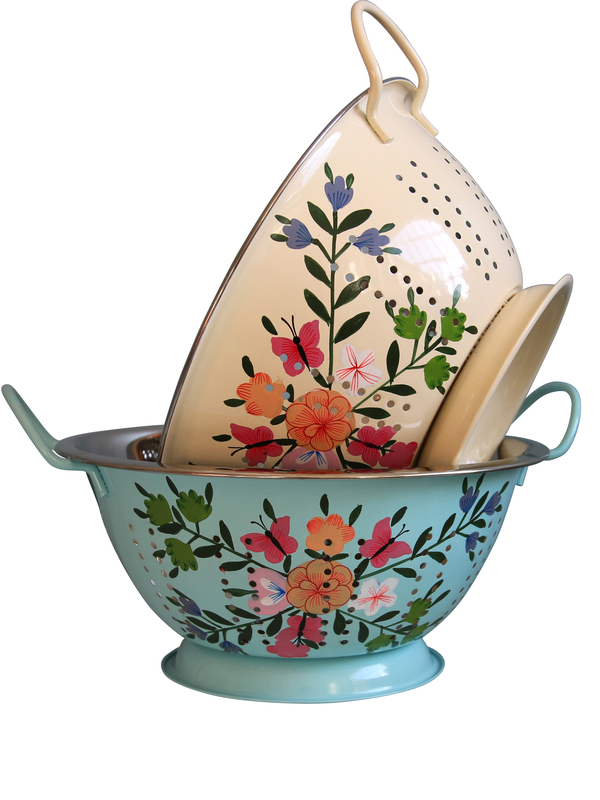 These fabulous hand-painted metal colanders with a food-safe steel inner are covered in an abundance of butterflies and blooms. And they’re decorative enough to use for draining salads and then taking straight to the table. Result.